I’ve raved and raved about the Cíes Islands on this blog, an archipelago of pristine islands that form part of a broader national park on the western coast of Galicia in northwestern Spain. They’re one of the region’s true natural wonders, boasting everything from white sands beaches and impossibly cold clear water to rugged hiking trails and cliffside panoramas. But I’ve been holding back a secret from: the Cíes have a little sister called Ons Island. This slender island is situated just to the north of the Cíes and is a natural breakwater that protects the ría or estuary from the worst blows of the Atlantic. When a few of my friends and I visited Ons during the shoulder season, we shared a beach that was a 10-minute walk south of the docks with only two or three other people. There’s something so very refreshing about having an entire white-sands beach essentially all to yourself while also looking back out toward the mainland where all the noise, traffic, and stresses of daily life are literally kept at bay. Although this brief little excursion was only for the day, we welcomed this escape from real life. It was the end of May, and because we were all fellow language assistants teaching English in Spain, our teaching contracts for the school year were drawing to a close. We celebrated (and mourned) the end of the year with a picnic feast of empanada de bacalao con pasas (cod-and-raisin meat pie) and intensely-flavorful picota cherries harvested from the Jerte Valley in south-central Spain. After we had gotten our fill of sunbathing in the chilly breeze and dashing in and out of the icy ocean, we strolled along the country roads, checking out traditional island architecture and Ons’ lone lighthouse before it was time to head back to the docks to catch the ferry back to the mainland. So how does Ons Island compare with the Cíes Islands? The beaches on the Cíes are vaster and roomier than those on Ons, plus there’s hiking trails galore that take you to jaw-dropping cliffs and views of the Ría de Vigo from a prominent lighthouse. If that “hot” Galician sun starts to wear you down, you can always take refuge in the pine stands that blanket much of the islands. But often the Cíes can be overwhelming: the main beach can be mobbed with sunbathers, the hiking trails can be surprisingly formidable, especially if you don’t realize how dehydrated you might be, and the seagulls can be relentless (to be fair, it is a bird sanctuary). Ons Island offers a secluded alternative to the Cíes. While it’s flatter and less forested, it’s a quieter and more laid-back kind of place with several smaller beaches distributed along the eastern edge of the island. If you’re looking for a place to truly disconnect, book the next ferry to Ons! My friends and I took the train from Santiago de Compostela south to Pontevedra, where we transferred to the bus station and caught a Monbus-run bus to the fishing village of Bueu (try that triphthong on for size—“bwoo-EY-ooh”). From Bueu, we set off on a passenger ferry run by Piratas de Nabia, and we found ourselves on the island within the hour. Ons Island is totally doable as a daytrip from any of the major cities of western Galicia…just make sure you don’t miss any of your connections! 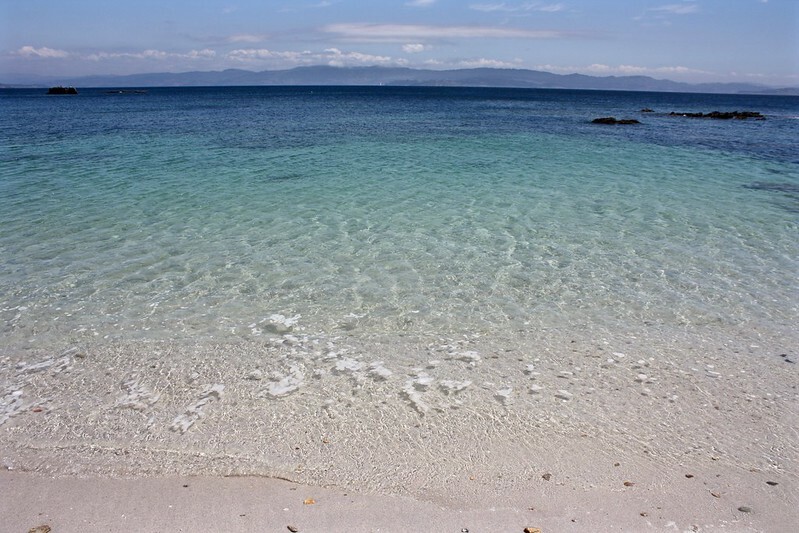 Have you ever set foot on any of Galicia’s stunning Atlantic islands? Share your experience below in the comments!